Top 20 Street Food Of Mumbai You Have To Try Before You Turn 50! 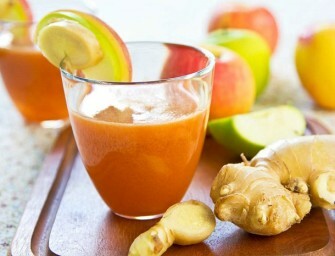 Food not only satiates our hunger, but also gratifies our soul. As it is often said, if we are able to feed ourselves each day, most of life’s problems are solved. Like any other country, Indians all over the world have also earned the reputation of being ardent food lovers, and each state has cuisine unique to its agricultural produce, geographical features, customs, and people. As American star chef, Paul Prudhomme once stated, “You don’t need a silver fork to eat good food,” sometimes the simplest of culinary skills using the most humble of all ingredients can produce the tastiest food ever. To top that, it’s always an added bonus if the fare in front of us is varied and affordable. There’s absolutely nothing else that’s more mouth-watering and pocket-friendly than street food. 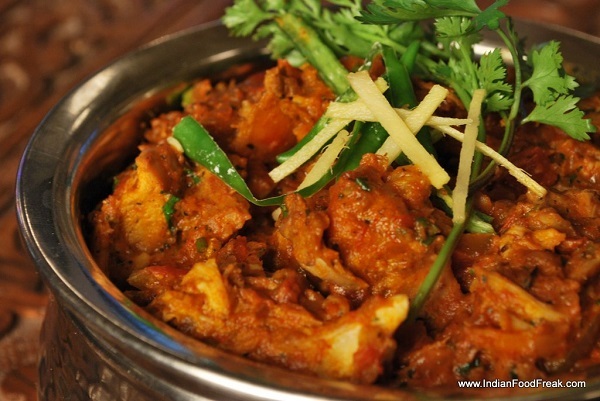 Indian street food especially, has a distinct flavor of a variety of spices that blend subtly with each other. When it comes to street food in India, many argue that Mumbai tops the list with its myriad dishes on sale and no matter what you have to try these top 20 street foods of Mumbai before you turn 50. 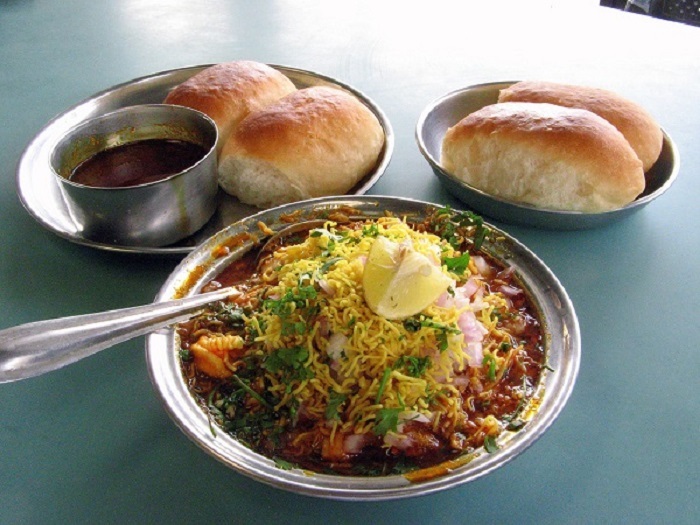 Mumbai and its people have shown how a simple combination like bread and butter can completely enliven your taste buds. But, this bread is not just any bread. It is the crispy exterior and the soft insides of the bun, which make the Brun so special. And the Maska is a liberal amount of heavenly butter slathered on the bread. 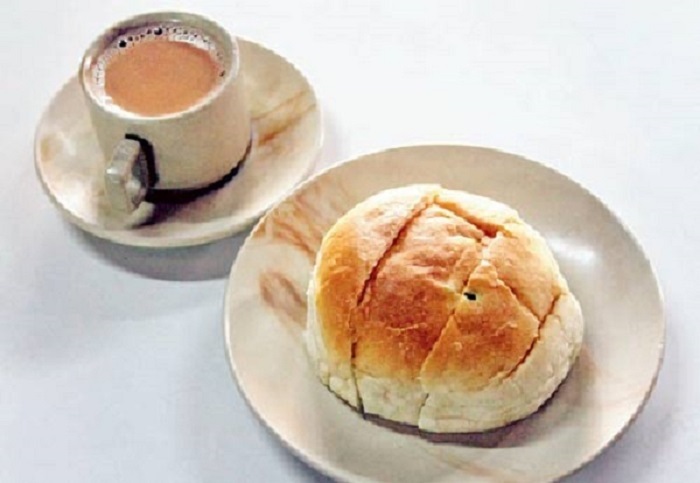 Couple that with a cup of sweet Irani chai (tea), preferably from the Yazdani Bakery in Girgaum, and you have one of the most quintessential street foods of Mumbai. This extremely piquant dish, made from different sprouted beans, and accompanied by the Indian bread, pav, comes straight from the streets of Mumbai. If you love flavorsome hot food, head straight to Thane’s Hotel Amantran or Charni Road’s Vinay Health Home, for the best Misal Pav in the city. The Vada Pav, essentially a potato cutlet inside a round bun, is Mumbai’s answer to America’s hamburger. 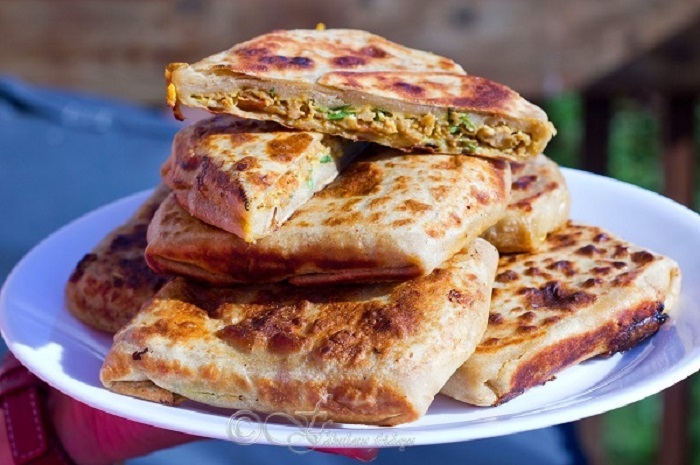 The Pav is the staple bread relished by the masses in Mumbai, and inside this goes a spicy patty, usually made of potatoes, along with a coriander or garlic chutney. 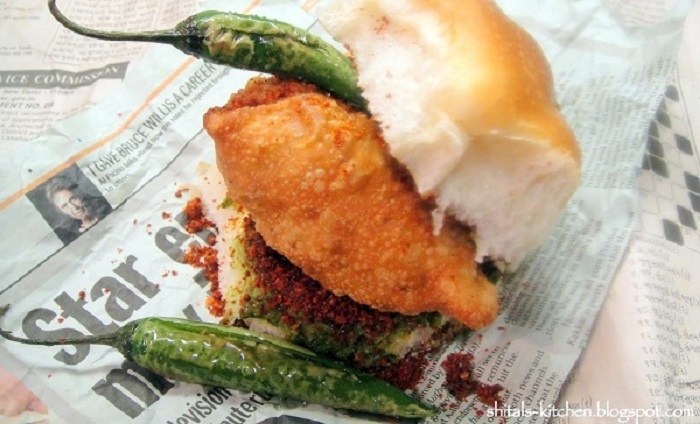 Frequent any food stall in Mumbai, and you are sure to see the Vada Pav selling like hot cake. As rightly penned by Shakespeare, “A rose by any other name would smell as sweet”, it does not matter whether you want to try the Pani Puri, or the Gol Gappa, or the Phuchka. 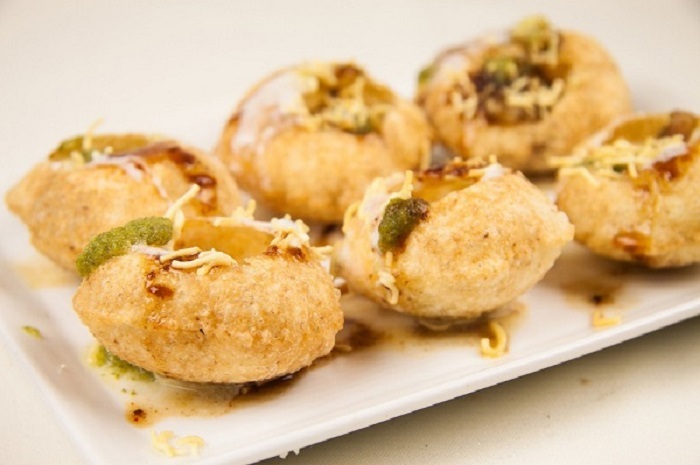 Known by different names in different states, the Pani Puri is an indispensable street food of Mumbai. Be it the crispy balls, known as puri, or the tangy mashed potato filling, or the tamarind water which accompanies it all, this street food will leave you craving for more. One is never enough, and asking for a free puri without the water has become an unspoken ritual. Mumbai, with its beaches and love for sea food, is famous for its Bombil Fry. Bombil is Bombay Duck, a fish quite typically found in Maharashtra, is fried while its fresh, and this makes for a tasty snack on the streets of Mumbai. The fish, which can also be eaten after drying with salt, is normally fried with a coating of semolina or rice flour. The next time you are enjoying the breeze at a Mumbai beach, make sure you try the heavenly Bombil Fry. Considered to have begun from modest street food stalls in Mumbai, the reputation of Bhel Puri has reached epic proportions in recent times. Puffed rice, accompanied by onions, potatoes, sev, and tamarind chutney, makes up this tasty snack. 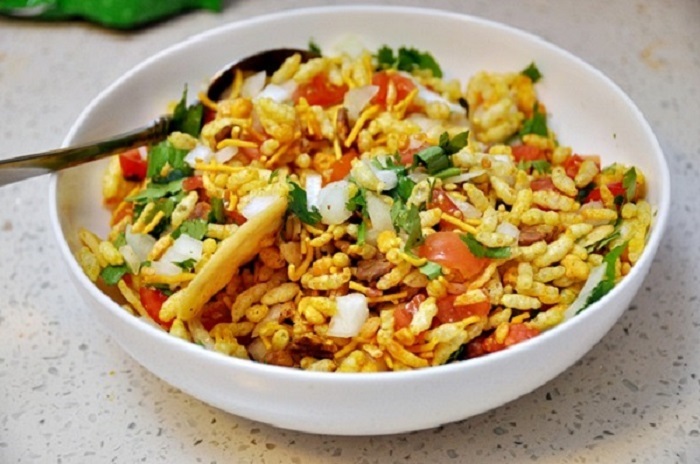 The best places where Bhel Puri is available are on the beaches of Mumbai, particularly the Chowpatty Beach. This typical Maharashtrian street food is now gaining popularity in other cities of India, and every place has a different variation to offer. Another Mumbai favorite, the Baida Roti, made famous by the shop Bade Miyan, involves intricately wrapping minced mutton or chicken in an Indian flatbread made of flour, called the paratha. This parcel is then fried in a batter of eggs. 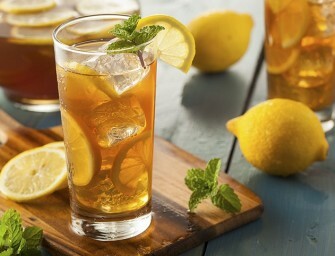 Other than its simple, yet palatable flavors, what makes it even more enjoyable is the dash of lime added to it. 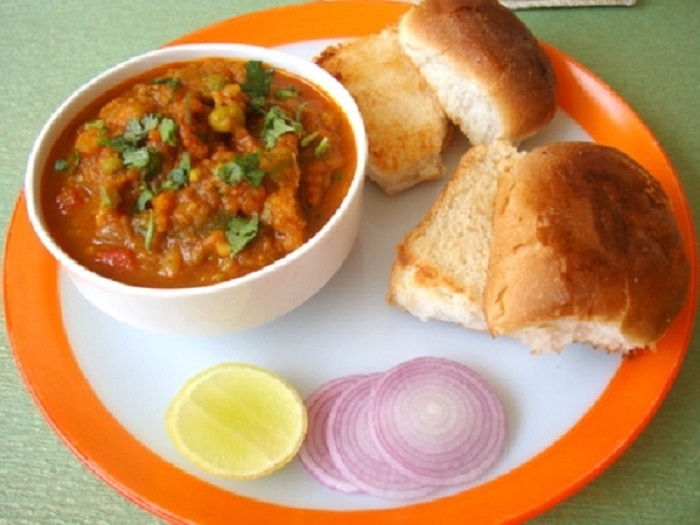 Originating in Maharashtra, the Pav Bhaji has now become a nation-wide favorite. Along with the staple Pav, a tasty mix of spicy, mashed vegetables is whipped up and served on your platter. The butter-roasted bun, the fragrance of the masala, the freshness of the lime, the sharpness of raw onions, and of course the luring blob of butter on top of it all, make the Pav Bhaji one of the most mouth-watering street food available in Mumbai. Samosa Pav is as tasty as Vada Pav, the only difference being that the filling inside the bun is fried samosa, instead of the potato patty. The samosa is a mix of green peas and potatoes, wrapped in a flour pastry in the shape of a triangle. This samosa is then place on the bottom half of the pav smeared usually with coriander chutney, while the top half of the bun covers it. The end result is as appetizing as its cousin, the Vada Pav. 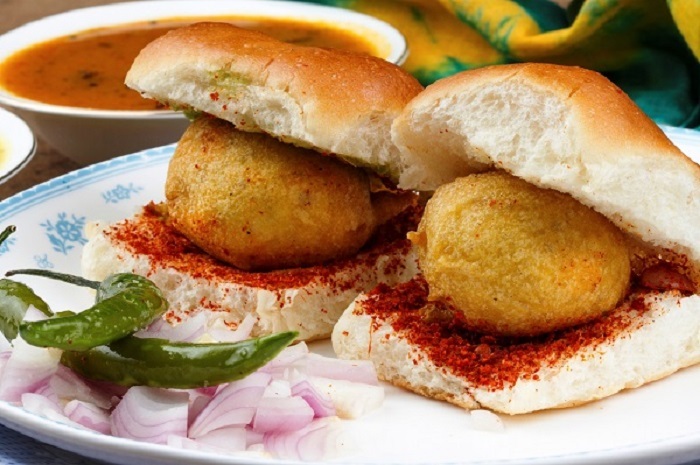 Everyone loves sandwiches, but Mumbai’s own version is a favorite with most people. 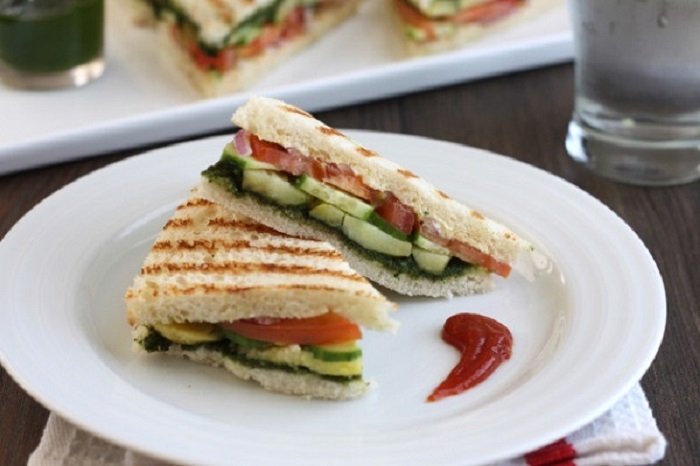 A grilled vegetable sandwich served with coriander-mint chutney and ketchup, is probably one of the healthiest things you can buy off the streets of Mumbai, when you are famished. These delicate little pieces of meat, slid through skewers and grilled over a charcoal oven, is the Indian version of barbeque. Though lamb is usually the preferred choice, Mumbai offers its people a varied choice, from chicken to beef. The tender minced beef sheekh kebabs are probably the most popular in Mumbai, and Mohammed Ali Road is the most famous for its juicy, toothsome fare. 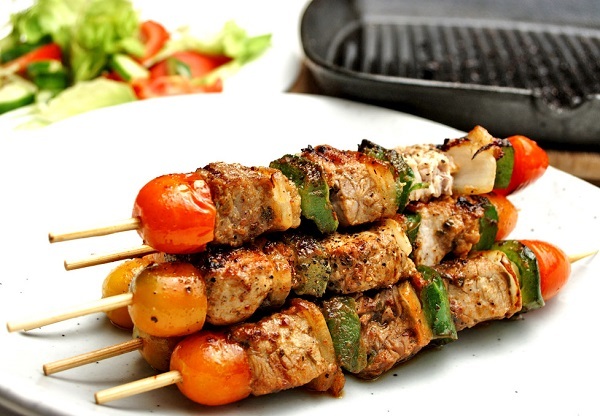 Walk along the road, and take your pick from all the kebabs that Mumbai has to offer. 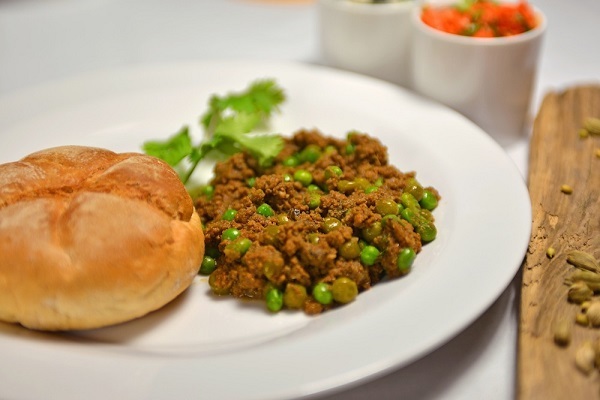 Yet another sought-after street snack in Mumbai, the Keema Pav is a scrumptious combination of golden, fluffy, freshly baked Pav, and juicy, yet thick gravy of minced lamb. What makes the Keema gravy more flavorsome is the subtle blend of Indian whole spices, known as Garam Masala. The acidity of the lime squeezed on top, makes the dish even more enticing, and if you are a meat-lover, you just can’t stop at one. Although Mumbai is not just famous for its savoury street food, the city also cooks up a storm with its assortment of desserts for ‘the one with the sweet tooth.’ Amidst an exotic selection of milkshakes and fruit juices, the one dessert that steals everyone’s hearts is the Falooda. A spin-off on the Persian Faloodeh, this shake of sorts, is made from vermicelli, rose water, psyllium seeds, and gelatin, mixed with iced milk. 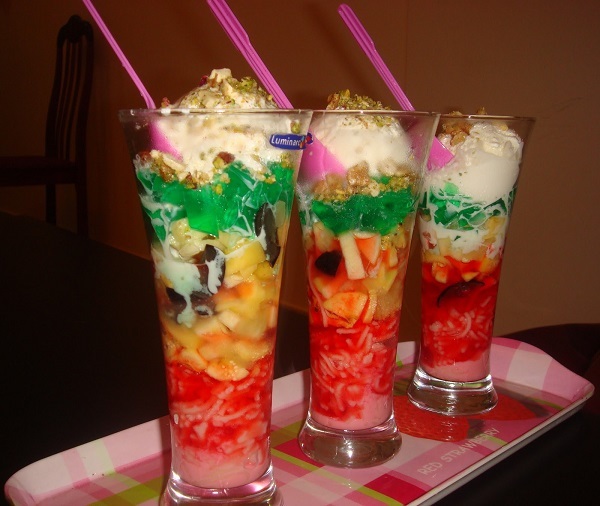 On a hot sultry day, halting for a glass of Falooda results in a sigh of relief. While the name ‘Bheja Fry,’ literally meaning ‘Fried Brains,’ might freak someone out, this street food from Mumbai, is one of the top choices of most people living in the metropolitan. The goat brain, cooked with a variety spices, tomatoes, and onions, actually tastes quite exquisite. If you are hungry, but broke, and craving for a quick snack with some meat, then Bheja Fry is the way to go. Team it up with soft, fresh Pav, and you might want to give your dinner a miss. ‘Kanda’ refers to onions, while ‘Poha’ means flattened rice. The two combined together creates a snack that every citizen in Mumbai would feel incomplete without. 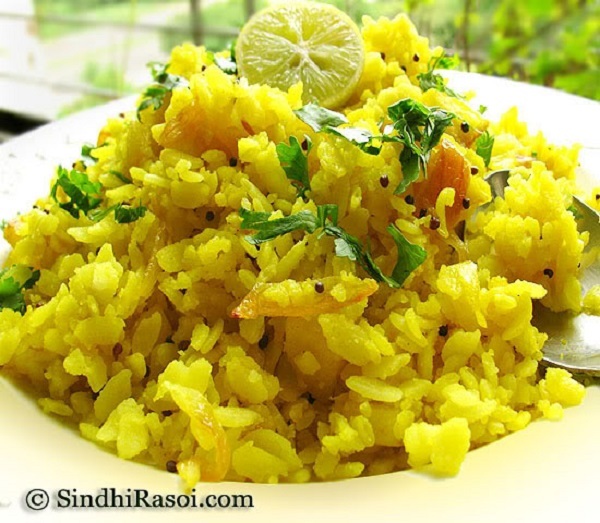 Kanda Poha is a staple breakfast in the city, and doubles up as a quick snack as well as a tasty, filling meal. The reason why it’s so popular is because it takes up almost no time to prepare, and when you are in a hurry trying to scramble through the rush of the city, all you need to do is grab a plate of hot, fresh Poha that is served in a jiffy. It is said that the Portuguese colonial rulers introduced India to potatoes, which they call ‘Batatas.’ And that is why the potato patties served inside the Vada Pav are called Batata Vadas. The boiled and mashed potatoes are blended with different spices, and then deep fried in a batter of gram flour, and served piping hot, with a generous garnish of coriander leaves. 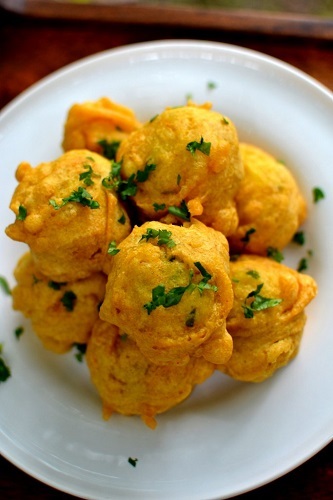 With its divine taste, it’s quite difficult to turn away from the Batata Vada. Though a rage during the Ganesh Chaturthi festival, the Modak, is equally popular through the year in various parts of Mumbai. Resembling dumplings, the Modak is a traditional Indian sweet, made out of flour, jaggery and coconut. 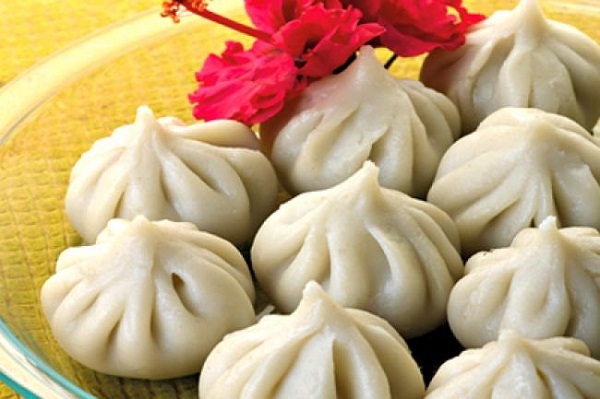 The preparation of the Modak is very similar to that of any other dumpling; they can either be steamed or fried, and the end product is simply yummy. The Zhunka Bhakar makes it to this list as a favorite street food of Mumbai, because it’s easy to prepare, and can be cooked within minutes. It is also exemplary of the fact that “less is more,” comprising simple ingredients like millet and gram flour. 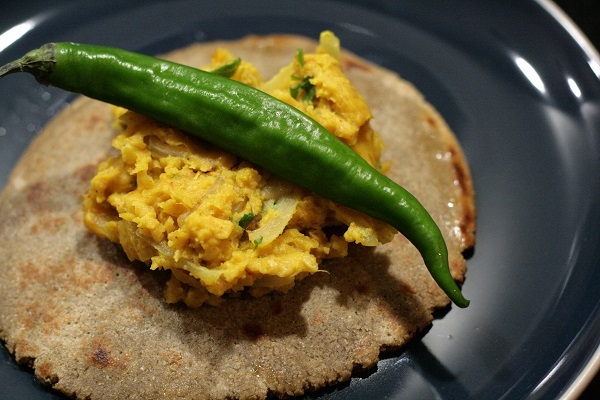 The delectable mixture is then traditionally served on a millet flour flat bread or roti. The Puran Poli, known by other names in the rest of India, is another Mumbai dessert that is absolutely lip-smacking when served hot with a dollop of clarified butter or ghee. It looks like a flat bread or roti, made of jaggery, lentils, milk, and coconut. The Puran Poli might be meant for sweet-lovers, but it still is one of the hottest-selling street foods in Mumbai. Last but not the least; when you are in Mumbai, you have got to try the Ragda Pattice. 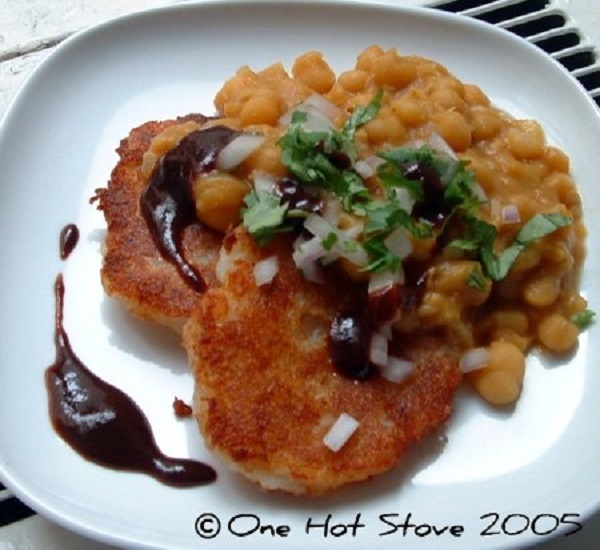 The delicious snack consists of a yellow pea curry, teamed up with a potato fritter. The Ragda Pattice is a craze on the streets of Mumbai, especially shops that churn out other amazing spicy snacks. 20 Traditional South Indian Foods That Will Change Your Life Forever!